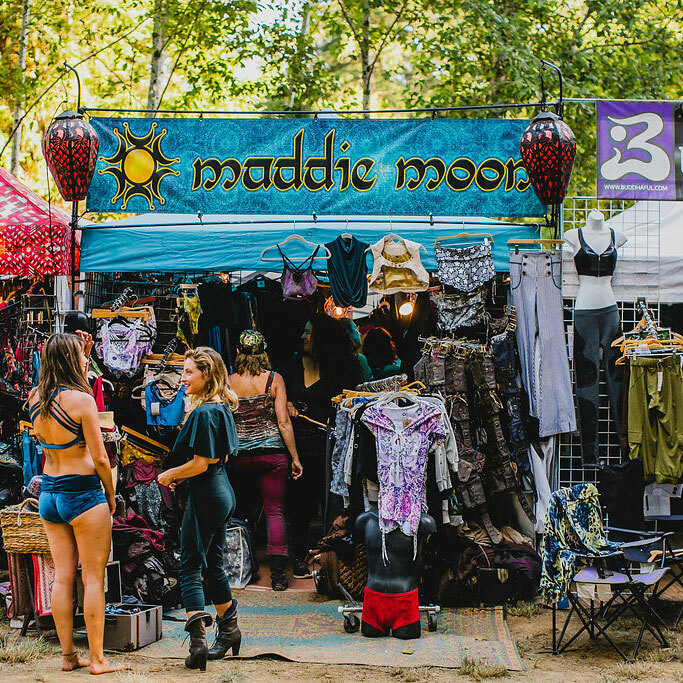 Maddie Moon clothing brand is the destination for men’s and women’s bohemian chic activewear. Our label offers a wide range of original designs created by Maddie herself. We take pride in using carefully selected, high quality materials and skilled seamstresses. Our unique fabrics are custom dyed and printed with original artwork giving you that distinction you desire. Whether you’re festival bound, traveling the globe, practicing yoga, dance, or simply going out for the day—you will feel elegant wrapped in our expressive and comfortable style.